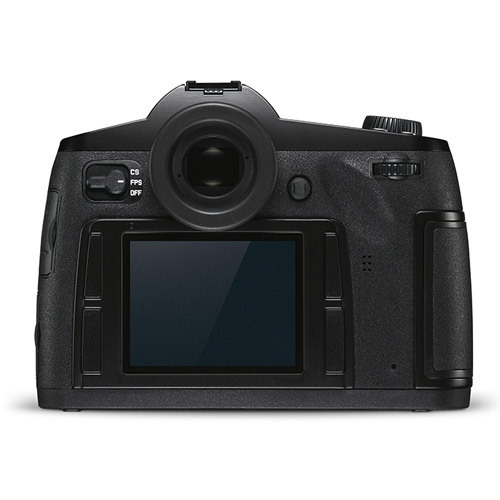 It is the smallest medium-format camera and offers impressively easy handling, extreme robustness, excellent imaging quality and perfect matching of all its components. The Leica S features a specially designed, more efficient autofocus system with an increased sensitivity range of the sensor: its lowest sensitivity of ISO 100 allows longer working at maximum aperture in bright conditions and the highest setting of ISO 1600 ensures perfect exposures under even the most adverse lighting conditions. Ultimate imaging quality is guaranteed. The 2 GB buffer memory plays a significant role in the increased image-processing speed. It also allows extended sequences to be shot in continuous-shooting mode. The Leica S is able to capture up to 32 consecutive images in DNG format with lossless compression at a maximum rate of 1.5 frames per second. The intuitive handling concept of the new Leica S requires a minimum of control elements. All functions are displayed in a simple layout on the monitor screen and settings are entered with four soft keys and a click wheel. Brand new features of the control concept are a five-way switch in the form of a mini-joystick and an even clearer layout of the user interface. Although a heavyweight in terms of technology, the new Leica is a featherweight in the hand. Its compact construction, ideal balance and a comparatively low weight of only 1,260 g are advantages that guarantee fatigue-free photography - along with the ergonomics of the handgrip, the grip characteristics of armouring and ideal placement of all its controls. 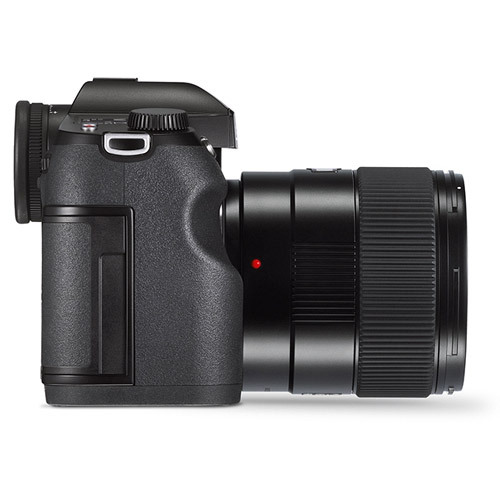 Dust and splash proof interfaces allow cable connection of the new Leica S with Macs or PCs to its LEMO USB port – to shoot tethered, to control the camera remotely or to integrate studio flash systems. An HD TV can also be connected for slide shows. Appropriate cables with robustly constructed strain-relief connectors are supplied with the camera. The new Leica S allows almost 1,000 exposures on a single battery charge. If that’s not enough, the range of S-Accessories offers a professional charger for two batteries, a 12-volt connector for the lighter socket in vehicles and a remote power supply for static shooting. A special mechanism prevents the battery falling out when the battery lock is released. With 920,000 pixels covering the 16.7 million colours of the sRGB colour space, the 3" TFT monitor enables bright and clear image viewing and assessment of sharpness, even in adverse lighting conditions. Whenever required, photographers can also superimpose exposure parameters and a transparent brightness or RGB histogram on the monitor image. 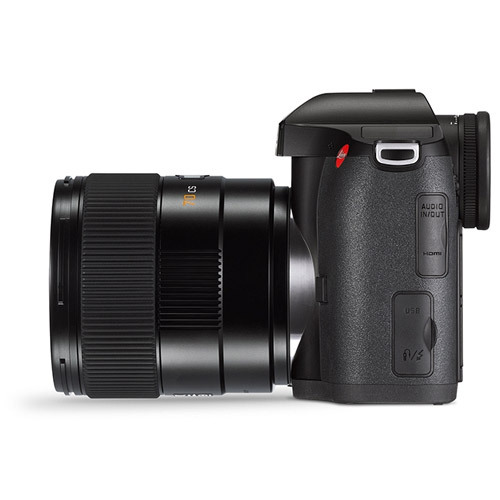 The Leica S is the only professional DSLR to feature an integrated GPS module. This allows the registration of exposure location details in the EXIF data of each image file. Local times and time zones are automatically synchronised. The software provided allows the location and capture time of each image to be plotted on a map. 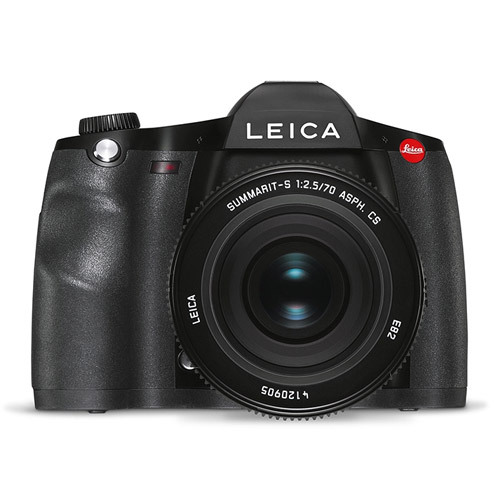 The Leica S has two memory card slots for writing data simultaneously to CompactFlash and SD cards. 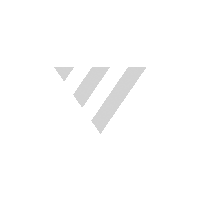 The advantages: increased memory capacity and versatility. The workflow also becomes easier, as DNG files for processing and JPEGs for image review can be saved separately on different cards.